Tottenham is changing. With major development already underway, north Tottenham is the latest phase of Tottenham’s Housing Zone – bringing thousands of new homes to support a fantastic sports and leisure for north London. Tottenham Hotspur’s new 61,000-seater stadium will be London’s biggest club ground – with Premier League football, NFL games and major events broadcast across the world, alongside a bustling hotel and extreme sports centre. This £650million investment will be a catalyst for change across north Tottenham. Through major redevelopment at our neighbouring High Road West development and the transformation of Northumberland Park, it will be London’s newest neighbourhood. The development is supported by a new Crossrail 2 station and a quadrupling of National Rail services to Stratford. Find out more about High Road West. Tottenham Hale is London’s next great neighbourhood. 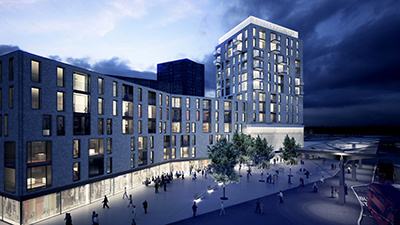 It is the first phase of the Tottenham Housing Zone, which will see a new town centre formed with new connections to the Lee Valley Regional Park, an international transport hub and residential quarter with 30 hectares of development and investment opportunities. Find out more about Tottenham Hale. Seven Sisters’ story is at least 600 years old. Legend has it that the seven sisters were due to part ways, and so each planted seven elms to leave a lasting legacy to their family. 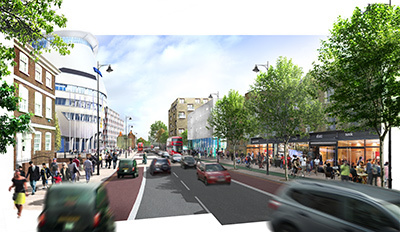 That legacy is now Tottenham’s southern gateway, boasting well-connected Tube, Overground and bus services and a welcoming place to do business and socialise through day and night. Seven Sisters is starting to deliver its potential, with Bellway’s Lawrence Road scheme on site bringing more than 260 new homes. 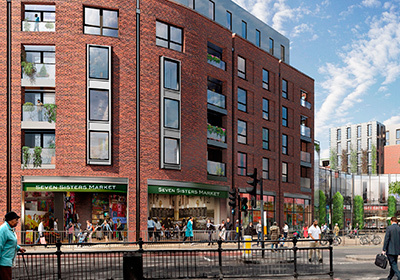 Grainger’s Seven Sisters Regeneration Scheme plans for 40,000 sq ft of first-class retail development and hundreds of new homes. With planning permission for a major mixed-use scheme on the Apex House site, Seven Sisters is the place to invest in now. Find out more about Seven Sisters.